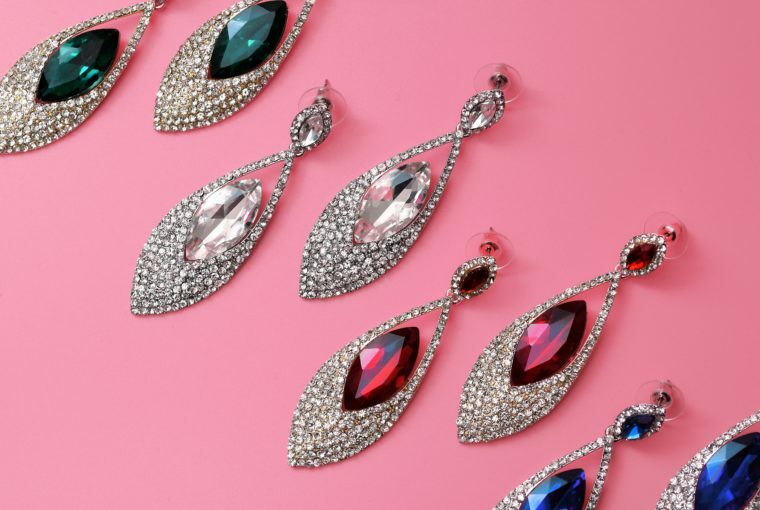 Diamonds, sapphires, rubies and emeralds – these are some of the gems that make our hearts go “bling-bling”. And even though these are popular precious gemstones, it doesn’t mean that they are the most expensive gems in the world. What if we told you that there is a gemstone worth $1 million per carat? If you want to discover the name of that gemstone, along with a list of some of the world’s most expensive gems, read further. We promise to entertain you. More valuable than pearls and as valuable as a blue sapphire, musgravite is a beautiful and rare gemstone. You can see this gem in a variety of colors but, most probably, you will encounter purple, blue and green varieties. The most expensive musgravite is the purple one and it costs around $6,000 per carat. Emerald can be more valuable than blue sapphires, especially when they are of exceptional quality. These days we get most of our emeralds from Columbia. When it comes to the price per carat, the best emerald varieties can cost as much as $8,000 per carat. It may surprise you to find out that a semi-precious stone has made our most expensive gems list and it values more than emeralds or blue sapphires. But alexandrite is no ordinary gemstone. It has this amazing property of being able to change its color throughout the day. Not like one of those “mood rings,” you used to wear when you were little, though. It will change its color from blue and green in the daylight to crimson and purple under artificial light. A great quality alexandrite will cost between $10,000 and $15,000 per carat. Why are rubies more expensive than sapphires when they share so many similar properties? It’s a matter of fashion and choice, to be honest. Nevertheless, a ruby from Asia with a violet hue color can cost as much as $15,000 per carat. We bet you were wondering when the diamond was going to make an appearance on this list, so here it is. You will be surprised to find out that diamonds are not the most expensive gems in the world. Not exactly. Very popular for engagement rings and other jewelry types, diamonds have found their place into our hearts. While some rare varieties will make a hole in our budget, the average value of a perfectly cut diamond is around $15,000 per carat. You can’t even pronounce it, can you? Well, maybe you will find it easier to say pink sapphire because this is what it is. Our no. 3 on the list of the most expensive gems goes to this surprisingly pinkish-orange sapphire whose name translates as “the color of the sunrise”. Of course, not all pink sapphires on the market are natural as their color can be achieved through heating. However, the price of a natural pink sapphire that weights more than 5 carats will reach $30,0000 per carat. And the prize goes to …. the red diamond. We bet you didn’t even know it existed and there is a reason for that. In our history, only a few red diamonds have been discovered. For the time being, the only place where red diamonds are extracted is in Australia, the Argyle diamond mine. But don’t imagine they find red diamonds in bulk. In fact, only several stones are extracted every year and they usually weigh less than 0.5 carats. Because it is so rare, a red diamond weighing more than 0.1 carats usually goes only to gem auctions. It is needless to say that the price of a red diamond can be extremely high. It can reach more than $1 million per carat, which means that if you want to add a read diamond to your jewelry collection, you have to be prepared to pay at least $100,000 for a 0.1 carats gem. We hope you enjoyed our list of the most expensive gems in the world. If you want to find more interesting facts about jewelry, check out our other articles as well. You will discover useful buying guides, sassy fashion articles, and maintenance & care guide. To view our unique designer jewelry collections, visit Ana Luisa online jewelry boutique.